Should anyone—let alone unelected government regulators—have the right to suppress education that could save a life? That's the question Heartbeat International posed in a petition released Thursday morning, pushing back on a California Board of Registered Nursing proposal that would silence any teaching on Abortion Pill Reversal (APR). An off-label use of progesterone employed since the 1950s to stave off miscarriage, more than 400 mothers say they have used APR to successfully rescue their babies after having started a chemical abortion—better known as RU-486 or "medication abortion." Yet, not everyone has embraced the life-saving medical intervention. Since shortly after the first mother changed her mind after starting a chemical abortion and saved her baby in 2007, abortion activists have been vocal in their opposition to APR. 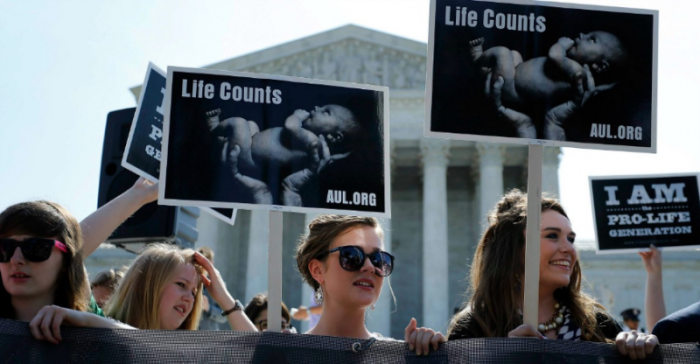 Implying women like Becky Buell were misled—or worse, are knowingly lying—about saving their babies through APR, abortion supremacists have opposed the procedure at every turn, deriding it as "junk science," "controversial" and "unproven." Now, California's Board of Registered Nursing is exploring a new regulationthat would change the goalposts on APR training and ban APR courses as not "relevant to the practice of nursing." The decision in California has national implications, since nursing boards in all 50 states accept CEU credit from California-approved providers. "It's hard to imagine a treatment more relevant to the practice of nursing than Abortion Pill Reversal," Heartbeat International president Jor-El Godsey said. "Every woman should have the chance to choose life for herself and her child. No government or activist has the right to stop a woman from saving her child's life." Along with smearing women who have saved their babies lives with APR's hotline, abortion enthusiasts have ignored endorsements from top medical professionals, which include 350 providers that make up APR's nationwide network. In 2017, a pro-choice professor, Yale School of Medicine's Dr. Harvey Kliman, told a New York Times reporter that he would recommend the treatment for his own daughter. Yet, as more and more women find help through APR, abortion campaigners have ramped up their opposition to the treatment. Starting in late 2015, an abortion activist with Rewire began pressuring California's Board of Registered Nursing to keep nurses from finding out about APR from pregnancy help networks including Heartbeat International, Care Net and National Institute of Family and Life Advocates (NIFLA). The focus has since settled on Heartbeat International, a California-accredited continuing education provider that has educated nurses on APR through its online Heartbeat Academy and at its annual conferences since 2012. Meanwhile, at Rewire's prodding, California has adopted legislation aimed at carving out Heartbeat International and others as accredited providers—an effort that eventually failed to keep Heartbeat International from presenting the facts on APR in multiple venues. After harassing Heartbeat International with an unprecedented audit that started in early 2016, the Board of Nursing finally agreed to allow the group to continue teaching APR courses for CEU credit in late 2017. Heartbeat International has announced plans to offer CEU credit for APR training at its upcoming Annual Conference in Anaheim, Calif., April 10-12, 2018. The latest attempt from Rewire and the Board to silence pro-life speech and education could move forward as soon as March 15, when the Board gathers for a public meeting in San Diego. By then, Godsey says he hopes to give the Board a stack of petition signatures from pro-life nurses, doctors and citizens across the nation. In the first day, Heartbeat International's petition received 600 signatures calling upon regulators to stand up to abortion activists and allow nurses to learn about APR. "Enough is enough. Now is the time to stand together and tell regulators to favor learning, not posture for politics that keep nurses in the dark," Godsey said. "Nurses and doctors should be encouraged, not punished, to pursue their life-saving call." Jay Hobbs is editor of PregnancyHelpNews.com and director of communications at Heartbeat International, the world's largest network of locally funded pregnancy help organizations. You can follow him on Twitter at @hobbnobbin and @phc_news.